People give people gifts for Christmas. BUT since I don’t celebrate I figured I didn’t have to think about it so much. OR DID I? As the pile of gifts from colleagues grew so did my level of panic. The internal battle raged. I don’t want to give gifts. What the hell??? But it looks bad. But it doesn’t make sense if it’s not meaningful. OMG just go buy them some kueh tutu shaped erasers – AH!!! HYPERVENTILATION!!!! 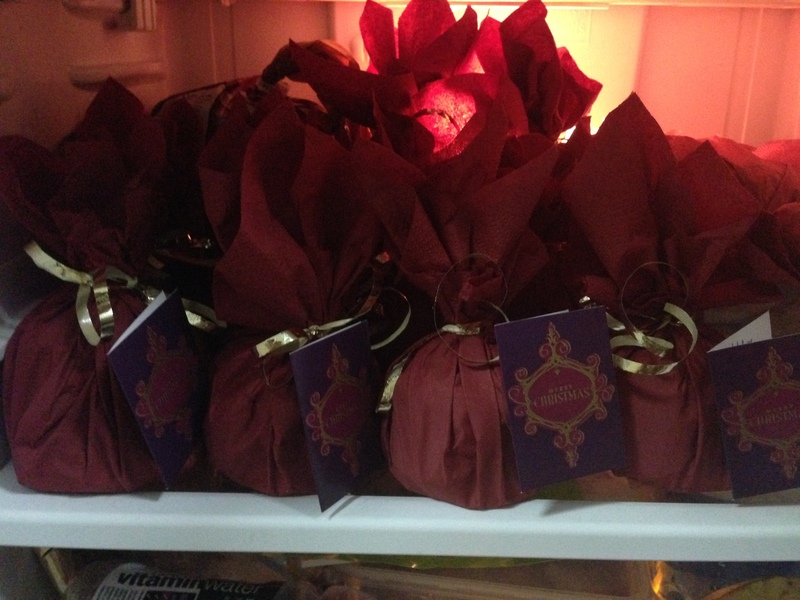 In the end I made these last night to give my colleagues for Christmas. Forced or not, meaningful or not, these are the best cookies I’ve made ever. Whisk together flour, cornstarch, baking powder, baking soda and salt in a bowl. In another bowl rub the brown and white sugars together with the orange zest until completely combined. This is to bring out the orange flavor. Joy explains it here. Stir (vigorously by hand)/whip (with a stand mixer if you have one) the butter, brown sugar, granulated sugar and orange zest until pale and fluffy. Or until your hand feels like you can’t take it no more. Stir in orange extract and vanilla extract. Slowly add in dry ingredients and mix until its combined. Do not overmix. 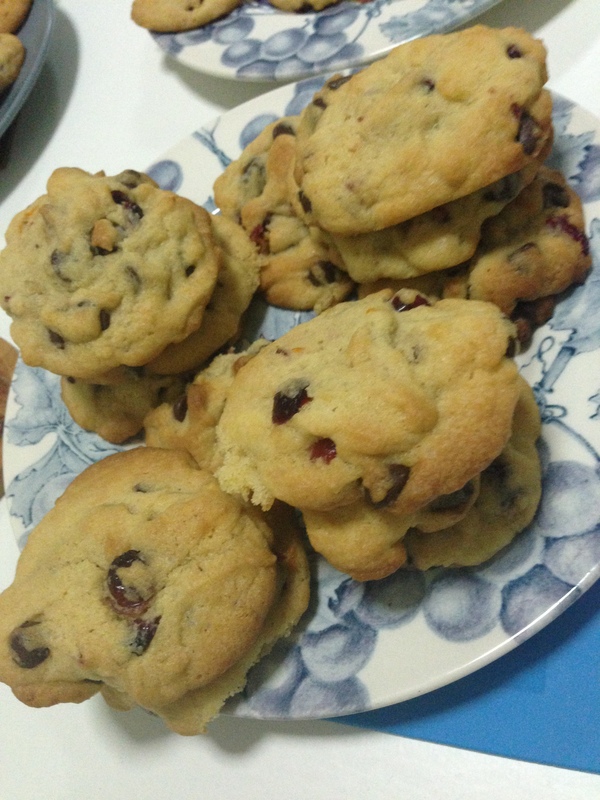 Fold in the chocolate chips and cranberries. Drop a heaping tablespoon of cookie at a time onto greased or lined cookie sheets spacing them 2 inches apart. Bake in preheated oven for about 10 minutes. Allow to cool on cookie sheet two minutes before transferring to another plate (wire rack if you have one) to cool. Store in an airtight container/ in the fridge if you’re in a place with extreme humidity. ** I actually doubled the recipe which is why it took 4 hours. It also makes a freakish amount of cookies, like one batch makes like 40 to 50 not 30 like the original recipe says.